St. Josemaria Escriva liked to encourage those around him to remember each day to pray one Memorare for the one who is in need of it most. 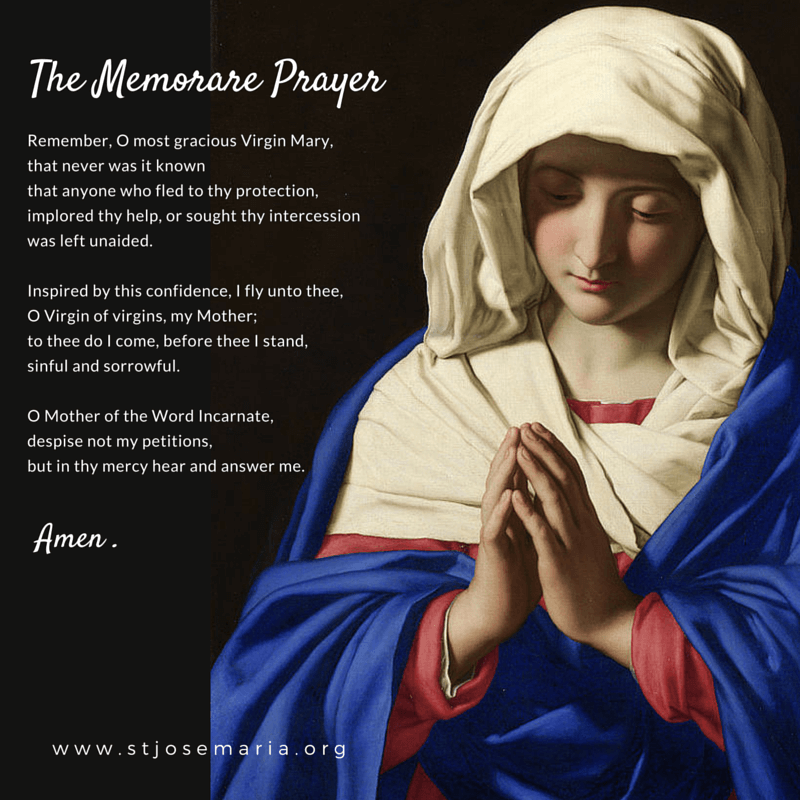 Today, when you share your prayer request with us, we will pray a Memorare for you… the one who is in need of it most. We also invite you to pray a Memorare for all those who are in need of prayer right now.